Welcome! I’m so happy you decided to participate in our Scarf of the Month Club this year! I have included how you can share your projects online, so we can find them too, at the end of this post! I’ve also linked to a tutorial I created to show you had to add your own project pages to Ravelry! Here are you January Scarf of the Month Club Scarves! 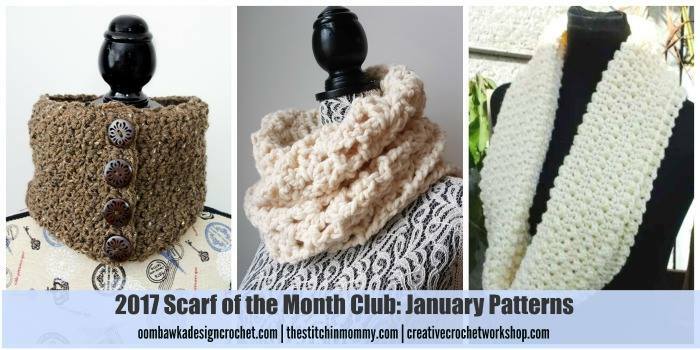 Get Amy’s Scarf of the Month Pattern here: Barley Button Cowl HERE. 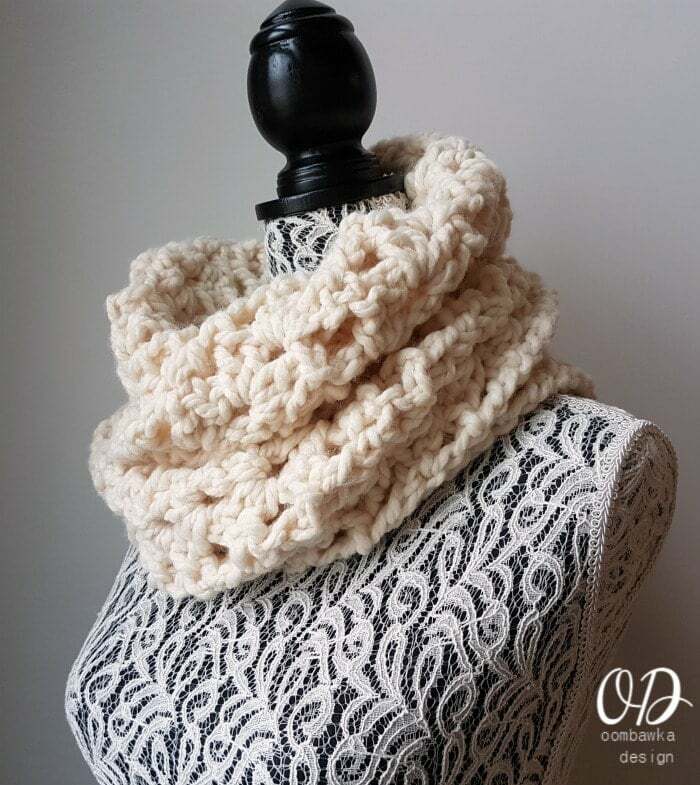 Get Joanita’s Scarf of the Month Pattern for the Chunky Popcorn Waffle Cowl HERE. 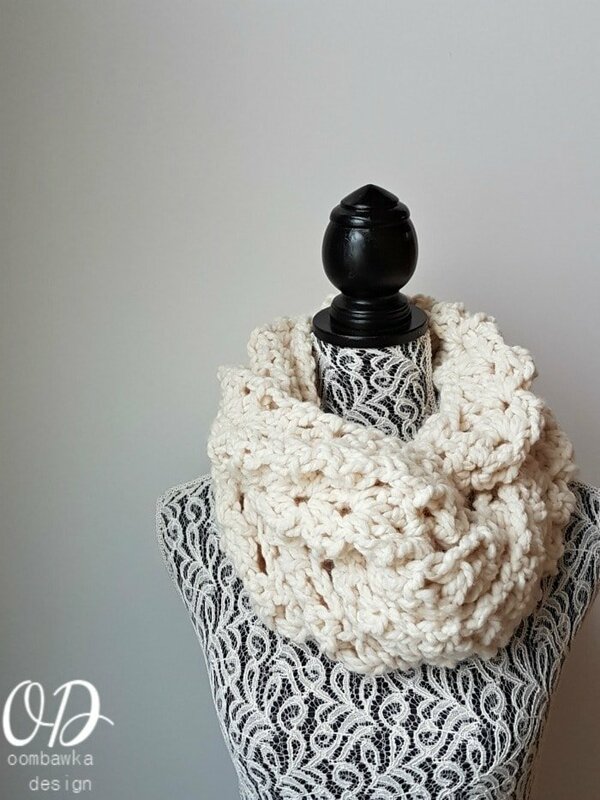 For my first pattern contribution I have designed a crazy easy infinity scarf for you to crochet. You will be able to complete this within a few hours (2-3 hours) while watching TV (or Netflix – I’m looking for a new show to watch, so if you have idea feel free to leave me a comment!). 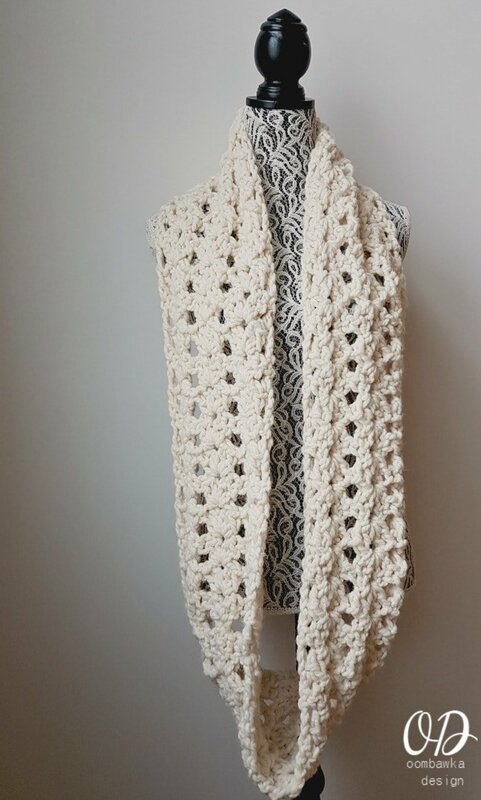 To make the Infinitely Yours Long Scarf, you will need 2 balls of super bulky yarn and a 12 mm crochet hook. 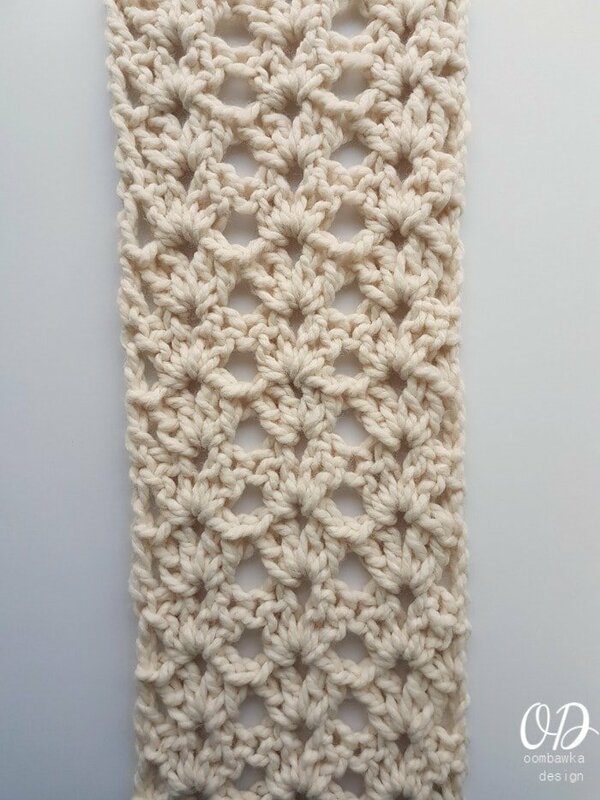 If you would like to substitute for a different yarn and hook combination you can 🙂 I have included the Stitch Multiples too – so you can make your scarf to any size and length; with any yarn and hook you want! 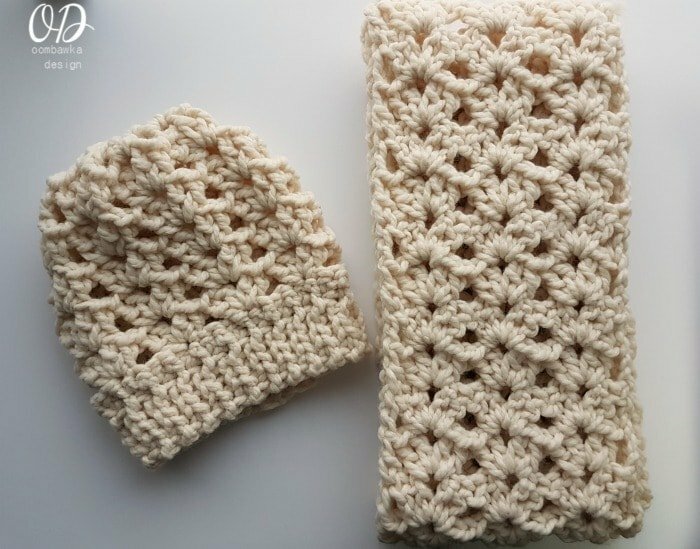 approximately: 1.5 inches tall (each double crochet stitch); each stitch set (2 dc, ch 1, 2 dc) is 2.5 inches wide at the top of the set and 2 inches wide at the base of the stitch. R3-50 : Rep R2. Finish off leaving a long tail of yarn and use it to whip stitch the beginning edge of R1 and the edge of R50 together to create your infinity scarf. Would you like a matching hat? The matching hat pattern is also available (for free on my website!) and it has a full video tutorial. It is designed to be a slouch hat but instructions are provided to make it into a beanie or a messy bun / ponytail hat too! See you on February 19th! When we release the next 2 patterns! I love that there is a video. Soooo, helpful for those who were taught to crochet without a written pattern.